Few things have the power to transport people as the cinema. 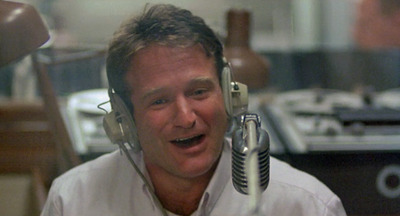 Who can forget Robert Williams’ “Good morning, Vietnam”? The following list is of our favourite military movies. The Longest Day tells the story of heroism and loss that marked the Allies' successful completion of the Normandy Landings on D-Day during World War II. 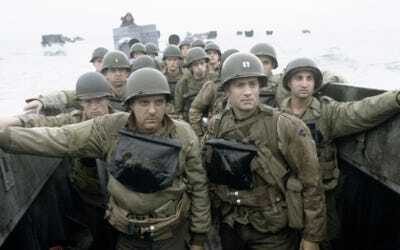 The film stands out due to its attention to detail, as it employed many Axis and Allied D-Day participants as advisors for how to depict the D-Day landings in the movie. 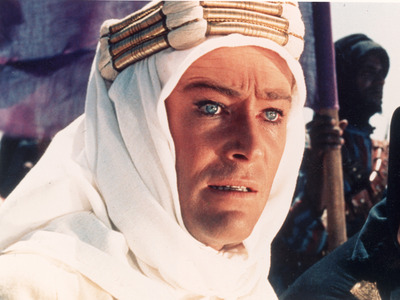 Based on the exploits of British Army Lieutenant T. E. Lawrence during World War I, Lawrence of Arabia tells the story of Lawrence's incredible activities in the Middle East. The film captures both Lawrence's daring, his struggles with the horrific violence of World War I, and the incredible British role in the foundation of the modern Middle East and Saudi Arabia. 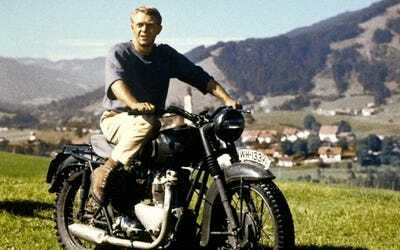 The Great Escape is based on a novel of the same name, which was a non-fiction account of a mass escape from a German prison camp in Poland during World War II. The film follows several British German prisoners of war as they try to escape from the Nazis and make their way back to Allied-controlled territory. Extremely loosely inspired by true acts during World War II, The Dirty Dozen tells the story of 12 Army convicts. The convicts are trained for a nearly impossible mission deep in Nazi occupied France before D-Day, and the film follows their exploits in training and beyond. 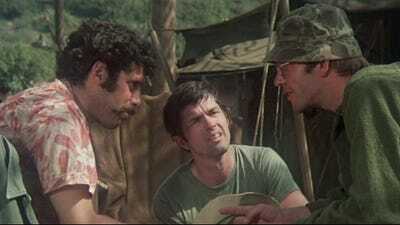 MASH is a black comedy set on the frontlines of the Korean War. The story follows a group of Mobile Army Surgical Hospital officers as they carry out their mission against the bleak backdrop of the seemingly ceaseless conflict miles from their position. A movie documenting the life and exploits of General George S. Patton. A wartime hero of World War II, the film covers the exploits, accomplishments, and ultimate discharge of Patton. The Deer Hunter follows the story of a trio of Russian-American steelworkers both in Pennsylvania before their service and during the Vietnam War. The film, which stars Robert De Niro, Meryl Streep, and Christopher Walken won multiple awards including the Academy Award for Best Picture, Best Director, and Best Supporting Actor for Walken. 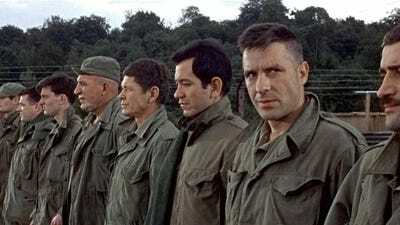 Featuring an all-star cast (Marlon Brando, Martin Sheen, Robert Duvall, and Dennis Hopper) and directed by Francis Ford Coppola, Apocalypse Now is a modern adaptation of Joseph Conrad's classic Heart of Darkness. Set in Vietnam in 1970, the war shows to what depths men will sink during war time. 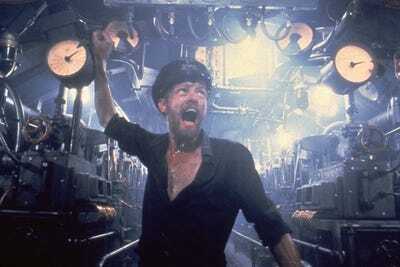 Das Boot is a German film depicting the service of German sailors aboard fictional submarine U-96. The story has been lauded for personalizing the characters during World War II by showing both the tension of hunting ships, as well as the tedium of serving aboard submarines. 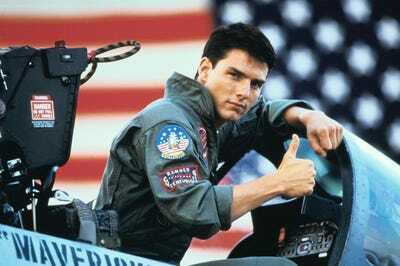 Starring Tom Cruise and Val Kilmer, Top Gun follows Cruise as he attends the Top Gun aviation school. An aggressive but extremely competent pilot, Cruise competes throughout his training to become the best pilot in training. The film was selected in 2015 by the Library of Congress for preservation due to its cultural significance. 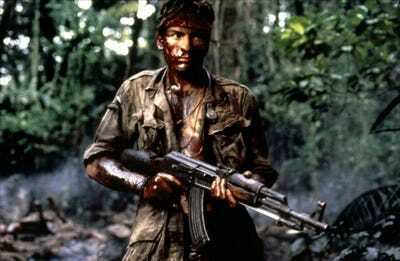 Platoon, featuring Charlie Sheen, depicts the horrors and difficulties of the Vietnam War. The movie both shows the difficulty in locating potential insurgents in a civilian population, as well as the strains and struggles war can place on brothers in arms. Loosely based on a true story, Good Morning Vietnam is a comedy-drama starring Robin Williams as a radio DJ in Saigon during the Vietnam War. Williams earned an Academy Award for Best Actor. 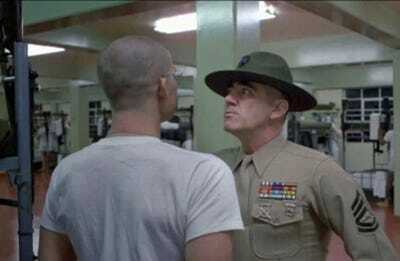 Directed by Stanley Kubrick, Full Metal Jacket follows two new recruits as they enter bootcamp during the Vietnam War. From depicting the struggles of training to the savagery of war, Full Metal Jacket remains a timeless classic. 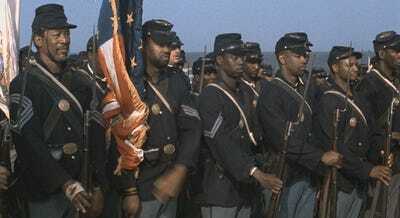 Featuring Matthew Broderick, Denzel Washington, Cary Elwes, and Morgan Freeman, Glory follows the US's first all African American regiment, the 54th Massachusetts Volunteer Infantry. Denzel Washington won an Academy Award for his performance. Based on Tom Clancy's bestselling novel, The Hunt For Red October is set during the last stages of the Cold War. 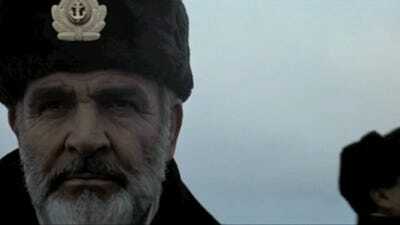 The film stars Sean Connery as a rogue Soviet naval captain who is attempting to defect to the US with the Soviet Union's most advanced nuclear missile submarine. 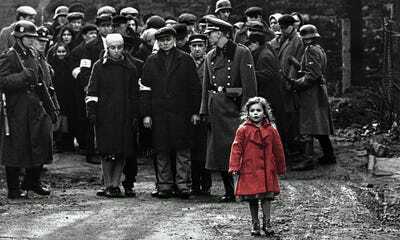 Directed by Steven Spielberg and starring Liam Neeson, Schindler's List tells the true story of how businessman Oskar Schindler evolves from seeing Jews as nothing but human chattel to doing his best to save as many Jews from Nazi death camps as possible during the Holocaust. The film, based on a true story and painfully told, won the Academy Award for Best Picture. Directed by Steven Spielberg and featuring Tom Hanks, Saving Private Ryan showcases both the brutality of World War II while also paying tribute to the amazing courage and honour that each person can rise to. The movie won Spielberg an Academy Award in 1999 for Best Director. 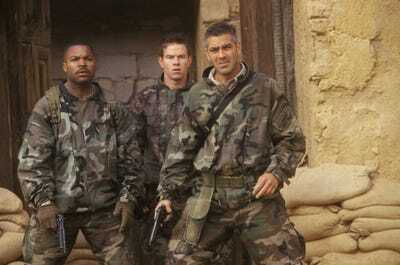 Featuring Ice Cube, Mark Wahlberg, and George Clooney, Three Kings shows a stark depiction of life on the ground in Kuwait and Southern Iraq following the end of the Gulf War. 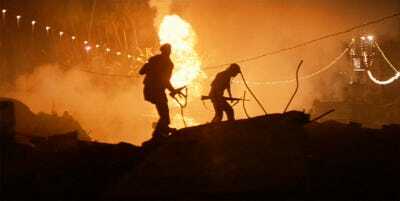 The movie depicts the brutality that Iraqis faced from the regime of Saddam Hussein after trying to rise up against the government at the end of the war. Directed by Ridley Scott, Black Hawk Down follows the tragic exploits of US special forces that were sent into Somalia on a peacekeeping mission in 1993. The movie won the Academy Award for Best Film Editing in 2002. Jarhead, directed by Sam Mendes and starring Jake Gyllenhaal, depicts a realistic look at the mix of drudgery and tension that exists for soldiers in a war zone. 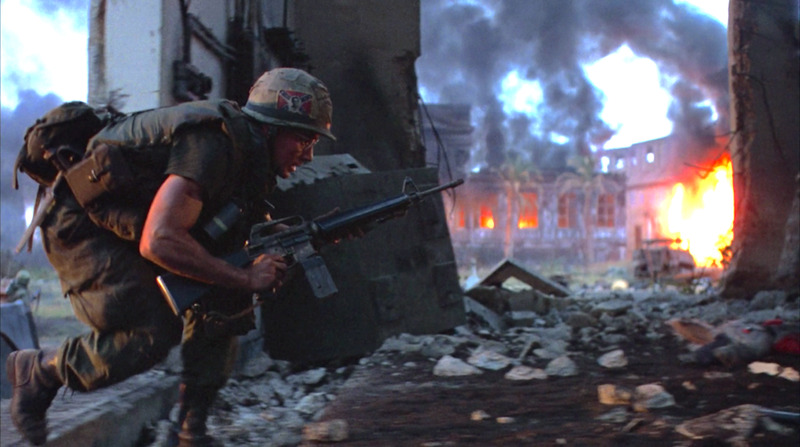 The movie spans from the late 1980s through the US involvement in the Gulf War. 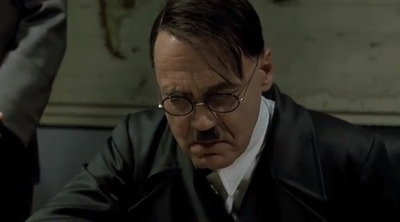 Downfall depicts the end of the European stage of World War II from insider Adolf Hitler's bunker in Berlin. The movie depicts Hitler's final days as he, and his fellow high ranking Nazis, realise the futility of their position in the war and the end of the Third Reich. Tae Guk Gi follows the tale of two South Korean brothers during the start of the Korean War. Drafted into combat, the older brother continuously volunteers for the most dangerous missions in exchange for his little brother's safety. 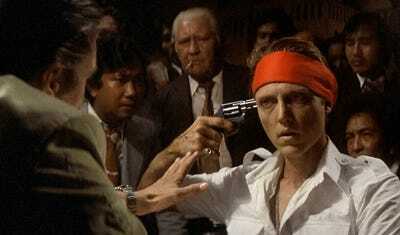 But, as the movie depicts, such constant violence takes the toll of all involved. 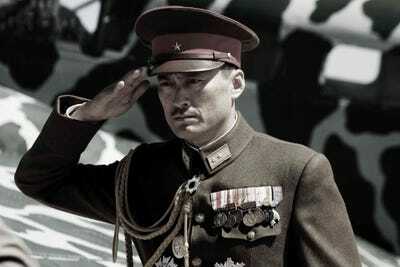 Directed by Clint Eastwood, Letters From Iwo Jima tells the story of the Battle of Iwo Jima from the Japanese perspective. 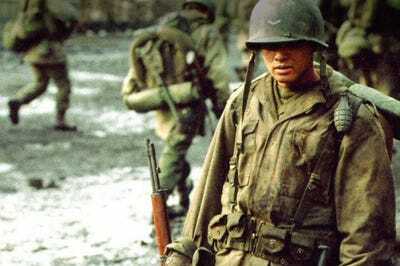 The film is a companion to Clint Eastwood's film Flags Of Our Fathers, which also tells the story of the Battle of Iwo Jima but from the American perspective. Released on Netflix, Beasts of No Nation is based on a book of the same name by Uzodinma Iweala. 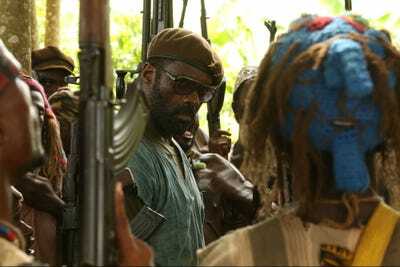 Set in an unnamed West African country, the film depicts the horror of civil war and the use of child soldiers. The film is told from the point of view of the child soldier Agu, played by Abraham Attah, as he attempts to survive and is forced to fight in the war.